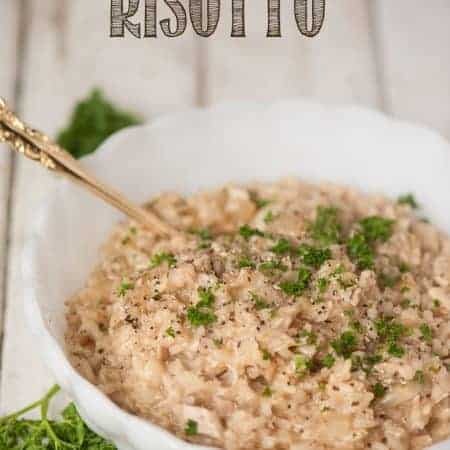 It’s the day after Thanksgiving, and the most perfect comforting recipe you can make is this delicious Leftover Turkey Risotto. Did you indulge yesterday? I did. I ate so much it physically hurt. I sat there after dinner with two kinds of pie on my plate and refused to give up! Thanksgiving is one of my most favorite holidays and the spread that was put in front of us yesterday was ah-ma-zing. I ate so much that after working out for an hour and a half this morning and sweating more than I probably ever had, I still weighed in 3 pounds heavier than I was yesterday. Oh yes. Want to know what one of my favorite things about Thanksgiving is? The leftovers. If you had turkey, you likely have leftovers. 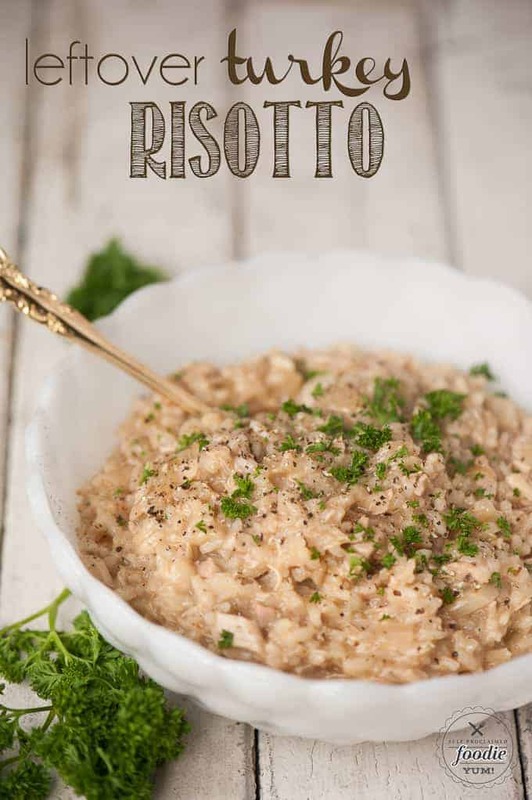 And with those leftovers, you will want to make this risotto. This creamy comfort food was transformed into something that may have just been “pretty good” to something worthy of an “oh wow, that is amazing” reaction. This was made possible because of the Pacific Organic Turkey Broth. 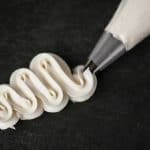 The company was founded in 1987 in Tualatin, Oregon, and you know I love supporting my local brands. Pacific Foods is dedicated to sourcing simple ingredients cultivated through sustainable practices, making products that nourish, and increasing access to healthy, wholesome foods. 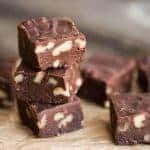 They offer a wide variety of organic products, including flavorful soups, sauces, broths and stocks, as well as the broadest range of non-dairy beverages and a growing collection of dips, meals and sides. Pacific’s delicious, nutritious foods are inspired by traditional recipes made convenient for busy, health-conscious consumers. 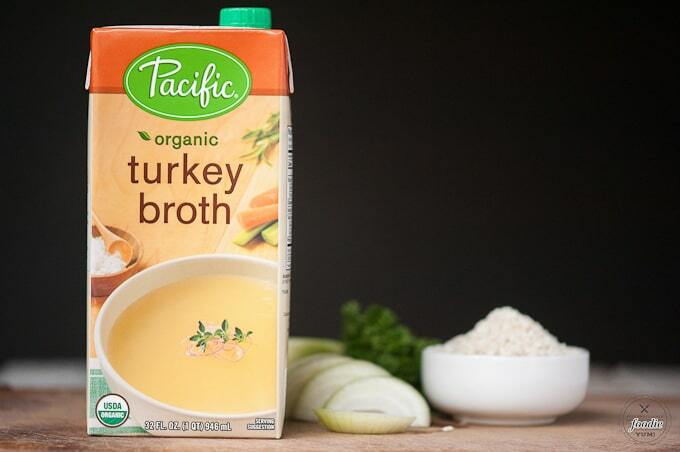 We’ve all used chicken broth at some point, but have you used turkey broth? Totally different in the best way possible. 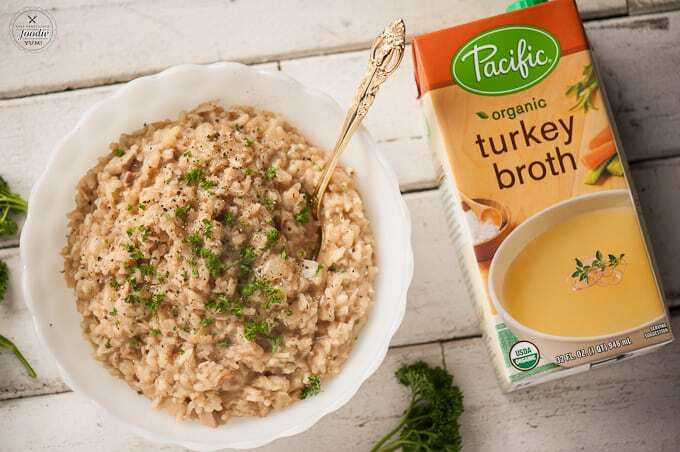 In particular, Pacific Organic Turkey Broth was the first organic option available on store shelves. Its made from free-range, humanely raised turkeys and is perfect for adding a classic flavor to holiday meals. 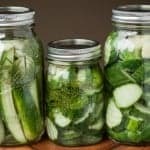 I loaded my pantry shelves with this broth because its USDA Certified Organic, Naturally free of GMOs, Gluten-free, and Packaged in BPA-free, shelf-stable cartons. Using my leftover turkey along with this outstanding organic turkey broth yielded the best tasting, most comforting, post-Thanksgiving meal I’ve ever enjoyed! 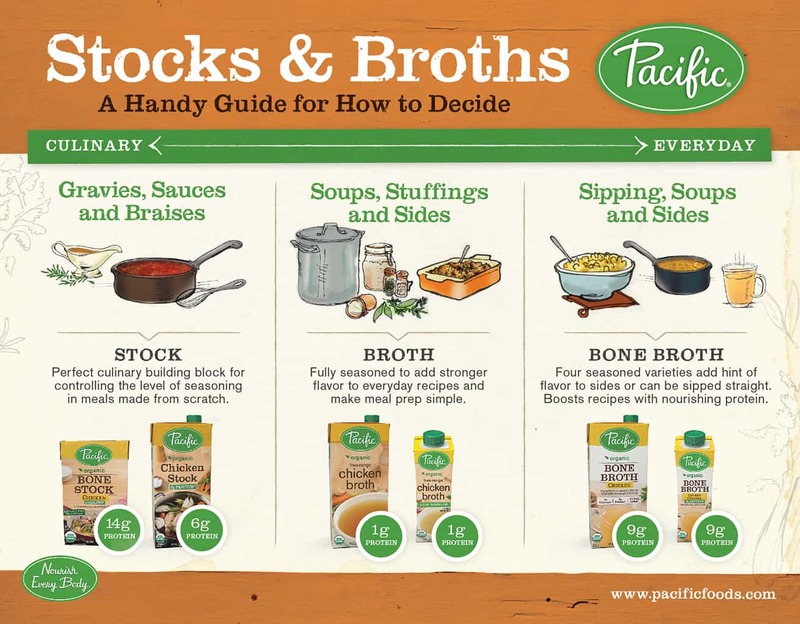 Here’s a fabulous guide on how to best use Pacific stocks and broths. Sooooo good! 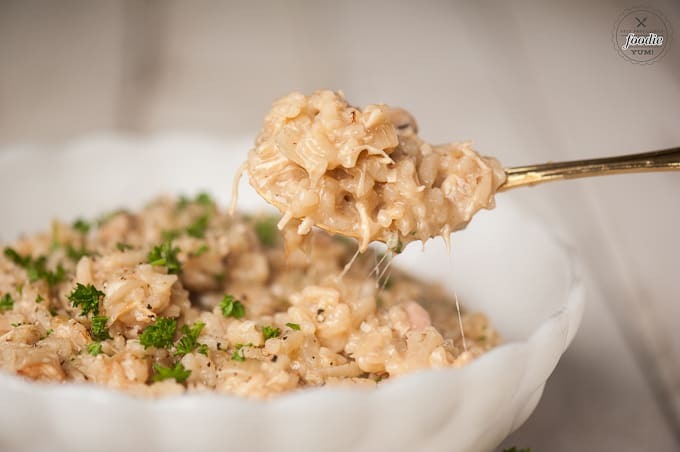 It's the day after Thanksgiving, and the most perfect comforting recipe you can make is this delicious Leftover Turkey Risotto. In heavy bottom 6 quart pot, heat olive oil and butter over medium high heat. Add onion and saute until golden brown while stirring occasionally, about 5 minutes. While the onion is cooking, heat the broth in a separate pot over medium heat. When the onions are tender, add the rice and chopped turkey and stir to prevent burning. Allow the rice and turkey to brown a bit. The ingredients will start sticking to the bottom of the pan. Add the white wine and scrape the bottom of the pan to remove any of those cooked bits. Continue to cook for about a minute until all of the liquid has been absorbed. Using one ladle at a time, add hot turkey broth to the rice mixture and stir. Once all of the broth has been incorporated, top with parmesan and parsley. Hello! 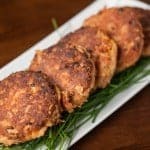 Since I am cooking a turkey this year instead of just a breast, I’m going to need recipes that use leftover turkey. So, yay for you for offering this one. However, 1 question. If I’d ever made risotto before, I’d probably wouldn’t need to ask … but when does the parmesan get added? After all the broth is mixed in? Or is it sprinkled on later, like the parsley? Thanks! Yes, sorry Cheryl! I’ll update the recipe. I throw it on at the end with the parsley.